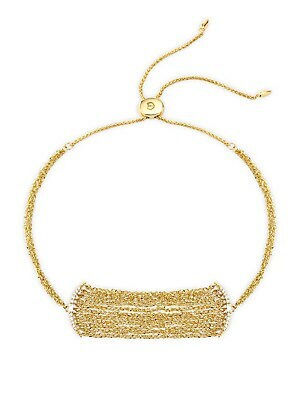 A delicate statement, this bolo bracelet is crafted from 14K yellow gold. Diamonds, 0.09 tcw 14K yellow gold Bolo silicon slider clasp Imported SIZE Length, about 10". Fashion Jewelry - Modern Jewelry Designers. Celara. Color: Gold. Classic 14K yellow gold link bracelet dotted with diamond charms representing the moon's phases. Diamond, 0.25 tcw 14K yellow gold Clasp closure Imported SIZE Length, about 7.25". Fashion Jewelry - Modern Jewelry Designers. Celara. Color: Gold. 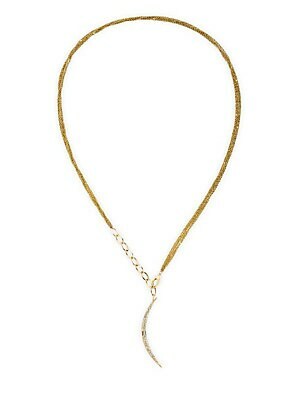 Dainty 14K yellow gold long chain necklace flaunts a pavé diamond crescent pendant. Diamond, 0.29 tcw 14K yellow gold Lobster clasp close Imported SIZE Length, about 32". Fashion Jewelry - Modern Jewelry Designers. Celara. Color: Gold. 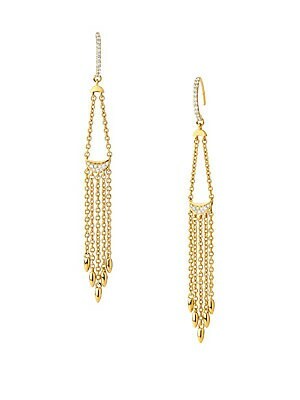 Dainty chain fringe drop earrings set with pavé diamond and white sapphire accents. Diamonds, 0.19 tcw White sapphire 14K yellow gold Wire back Imported SIZE Drop, about 2". Fashion Jewelry - Modern Jewelry Designers. Celara. Color: Gold. Dainty single stud earring set with a twinkling row of diamonds. 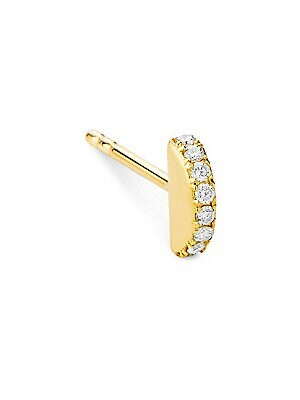 Diamonds, 0.04 tcw 14K yellow gold Post back Imported SIZE Length, about 0.2". Fashion Jewelry - Modern Jewelry Designers. Celara. Color: Gold. Delicate 14K yellow gold fringe hang from shimmering diamond half-moon stud earrings. Diamond, 0.15 tcw 14K yellow gold Post back closure Imported SIZE Drop, about 3". Fashion Jewelry - Modern Jewelry Designers. Celara. Color: Gold. 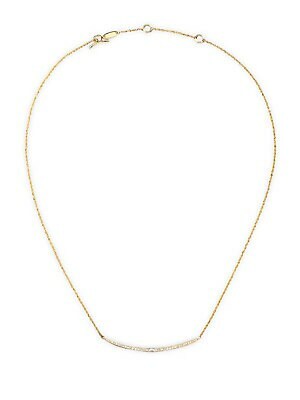 Delicate 14K yellow gold multi-strand necklace with shimmering diamond accents. 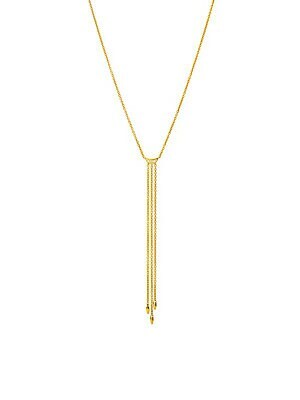 Diamond, 0.13 tcw 14K yellow gold Toggle bar & ring closure Imported SIZE Length, about 15" with 2" extender. Fashion Jewelry - Modern Jewelry Designers. Celara. Color: Gold. 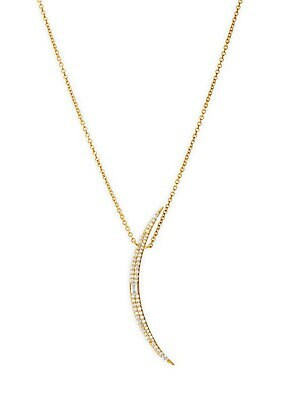 Delicate 14K yellow gold strand necklace with curved diamond pendant can be worn several ways. Diamond, 0.3 tcw 14K yellow gold Lobster claw clasp Imported SIZE Length, about 30". Fashion Jewelry - Modern Jewelry Designers. Celara. Color: Gold. 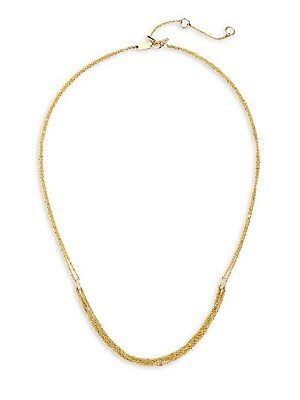 Delicate 14K yellow gold strand necklace with shimmering diamond bar detail. 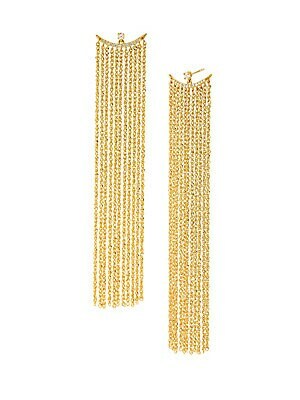 Diamond, 0.23 tcw 14K yellow gold Toggle bar & ring closure Imported SIZE Length, about 15" with 2" extender. Fashion Jewelry - Modern Jewelry Designers. Celara. Color: Gold. Delicate 14K yellow gold strands trail from a shimmering diamond half moon. Diamond, 0.03 tcw 14K yellow gold Clasp closure Imported SIZE Length, about 16" with 2" extender. Fashion Jewelry - Modern Jewelry Designers. Celara. Color: Gold.